After closing time, when visitors have been pushed out, a guard unlocks the doors of St. Mark’s Basilica for us to explore the city’s most important building completely alone! Not only will we see all general access areas of St. Mark’s Basilica, traveling with an official guard we’ll unlock doors to visit special areas such as the crypt, where the bones of St. Mark himself are said to lie and the Pala d’Oro. You’ll travel in a small group of max. 15 people with an expert tour guide at the helm, to tell you the stories and help you spot the details. Access is limited to Walks of Italy groups only and we’ve capped it at 4 groups per day. Your tour starts at St. Mark’s Square, where your guide meets you, kicking off your adventure with thrilling anecdotes and swashbuckling stories. 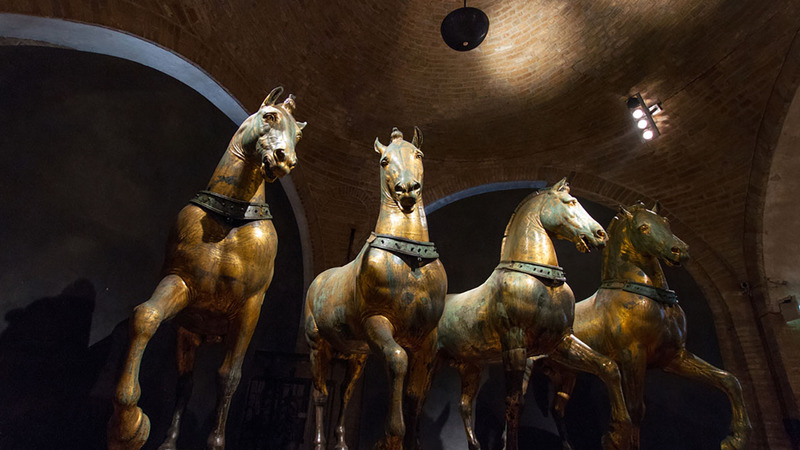 Learn about the history of Venice and St. Mark’s Basilica - like how it received its precious relics via a 9th-century kidnapping! Then comes the real treat. All of the passersby will wonder where you’re going as a custodian unlocks the basilica’s doors for you and walks you right in. Inside, take a deep breath. You’re experiencing St. Mark’s Basilica as almost nobody else does, or ever has ever been able to (aside from the Doge himself) – empty! No standing elbow-to-elbow with other tourists, no seeing the church as if through a strobe light from hundreds of popping flashbulbs, no noise from the crowds. Instead, you’re alone with your guide and the custodian. So you can experience the basilica as it should be experienced: in tranquility and peace. Of course you won't have to queue outside the Basilica since entrance won't be granted to anyone but Walks of Italy groups. When you get inside, you'll feel the real benefit of this. During the day, lines are long to see the stunning Pala d’Oro, a Byzantine altarpiece that uses more than 1,900 gems. Visiting at night though, you'll have it all to yourself, so you can walk right up without the wait. Since you’re alone in the basilica you'll also have the rare opportunity to go where other visitors can’t. The custodian will unlock areas such as the crypt, said to be the place where the bones of St. Mark are kept. Here you can also see the stained walls, from the past floods that have devastated Venice—the crypt used to be flooded every time the high tide hit the city. But that's not all. 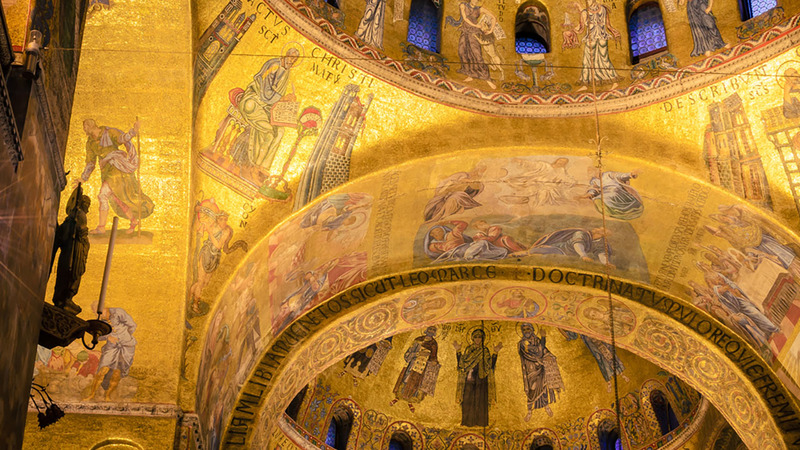 There's another hidden advantage to visiting St. Mark's Basilica at night. This is when the mosaics are at their most beautiful, with all 43,000 square feet lit up, glimmering and sparkling in the dark. If just seeing the basilica this way weren’t entrancing enough, there’s also your guide, an expert who’s passionate about Venetian art and history—and about sharing it with you in the most fun way possible. You’ll hear the tale of how St. Mark’s became St. Mark’s, a story that pivots on a prophecy, a kidnapping and a dangerous sea voyage! 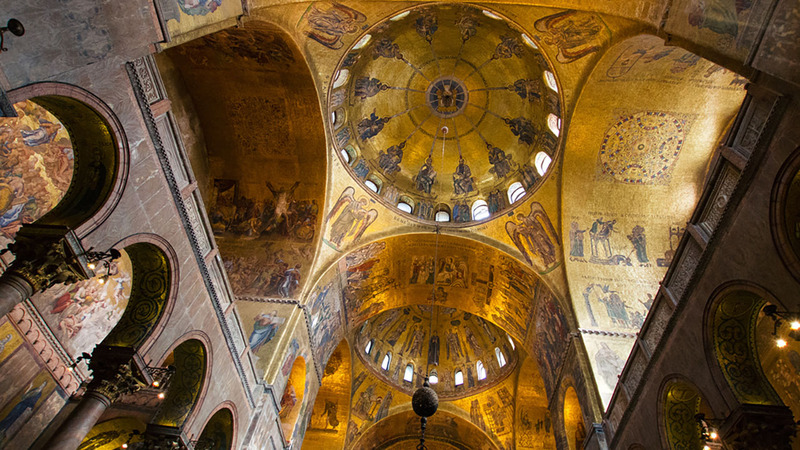 Throughout your St. Mark’s Basilica tour, you’ll travel in small groups of only 15 people or fewer. As Walks of Italy is the only company with this access, we can also guarantee that there will be no more than four groups inside the basilica when you visit. Walk with us inside the heart of Venice, witnessing the basilica as it was meant to be seen – imposing, impressive and exquisite. For a one-hour tour that will give you memories to last a lifetime! Mattia was an excellent guide, extremely knowledgeable and clearly passionate about the Basilica and all of Venice. The whole experience with Walks of Italy was a good one, easy to book, on time and well worth the price charged. I will definitely use them again, thank you. We were very impressed with this tour and with your guide. We had a tour the following day with our tour group and did not see a quarter of what we saw and learned with your tour. It was wonderful. It was recommended by a coworker as the best be had ever been on and I am so glad that I took his recommendation. Well worth the money. Brilliant tour the guide really made it interesting and was passionate about the subject, wish it could have been longer. Please remember that the basilica is a holy place and attire must be appropriate: Both men and women are asked to wear clothing that covers at least the shoulders and knees. Walks of Italy cannot be held responsible for denied entry due to improper dress. Backpacks are prohibited inside of St. Mark's Basilica.